Running isn’t a sport, it’s a lifestyle! 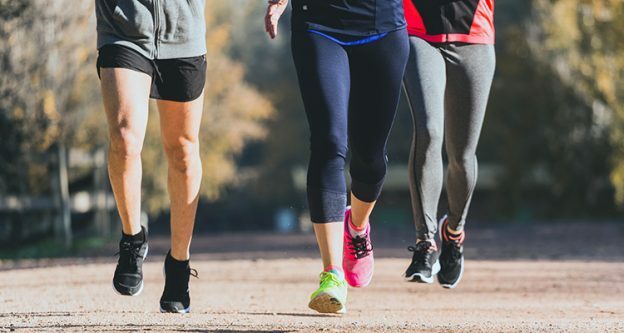 Whether you are new to the running scene or a trained marathon runner, no doubt you need some inspiration and guidance. With all the highly qualified running bloggers on the web, there is no reason to take this journey alone. Look beyond the mainstream fitness sites to some amazing running bloggers. They will give you the daily dose of running news, inspiration and instruction you need to keep going. 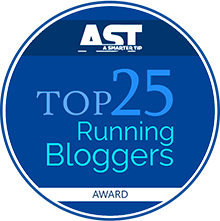 Below is the list of 25 of the best running blogger to follow in 2017. Top blogger you MUST follow! 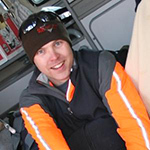 Why you should follow him: as a biologist, he has a strong interest in running science. He shares the best and worst of running shoes and running form. His advice goes beyond the everyday knowledge and his product reviews will not disappoint. 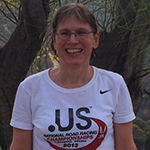 Why you should follow her: Dorothy has run 33 marathons since 2003 and is a well-known expert. 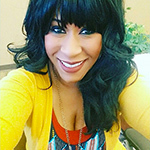 She shares her passion for products and technique with her followers and is nationally recognized in numerous publications. Why you should follow him: it’s true! We have another male runner for you to follow and this one is going to catch your attention. Steve has been running since the 80s and is 50 years old now, but you wouldn’t know it. His energy level and passion for the race is what makes him so inspiring. Epic Post: What’s Your Secret? 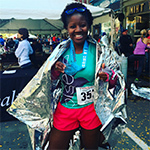 Why you should follow her: Janae has been running since she was 12 and loves talking about her running experiences. 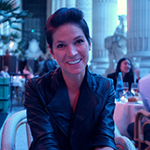 Her blog also features stories of her family, food creations and her personal thoughts on life. She brings a refreshing feel to the world of running. Grab a dose of fun when you visit with her. Epic Post: St. George Marathon 2016 RECAP!!! Why you should follow her: Anupriva discovered running in 2009 and has never looked back. She’s been participating in races in India and the Philippines including half marathons and full marathons. 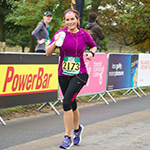 She averages over 62 miles per month and blogs about running, parenting and recipes. 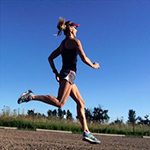 Why you should follow her: Laura is a personal trainer, running coach, marathon runner, and writer. She can teach you from your first try at running all the way through your marathon career. What an inspiration! Why you should follow her: Kristina is very open about her struggles with eating disorders and is an inspiration to all. She talks about running has helped her to overcome the many battles in life. She will help you find your joy and passion in running. Why you should follow her: Kelly is truly just a bundle of fun and it is contagious. She started running to lose 75 pounds of weight put on after the death of her brother. In fact, she never wanted to be a runner in the first place! She claims to laugh is the solution to everything, and it shows in all that she does. Why you should follow him: talk about having access to your very own doctor! 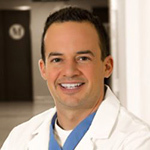 Dr. Campitelli is a podiatrist and has a love for running. He teaches how to prevent and repair injuries by fixing your form. He is also an advocate for minimalist shoes. Get your professional advice without the professional cost. Why you should follow her: Kate is a very real marathon runner who isn’t afraid of an occasional cookie. She will help you to push yourself beyond the limitations you’ve set and see what you are really made of. 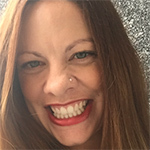 Enjoy some laughter and adventure with her light-hearted blog. Why you should follow her: Angela has been running since her teenage years and shares her love of balancing everyday life. She is very real about her anxiety struggles and shares how running helps her to heal. Follow along as she chronicles life events with her joy of running. 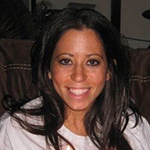 Why you should follow her: Beth is an avid runner and is 50-years old. She never lets the age slow her down and believes that fear will hold you back and waste your life. She calls for no excuses on your running and personal journey. Why you should follow her: being a 40-something-year-old mom, attorney, and runner, Coco understands life. She offers insight through her thoughts, struggles, and victories. 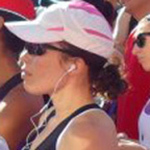 She believes that running helps her to cope with life and the stresses of the world. When you are feeling down and need a little pick-me-up, Coco will not disappoint. Why you should follow her: Sarah is as honest as they come. Between sharing insights into her eating disorders to body image after pregnancy, she is completely relatable to the “real” woman. Her insights and revelations bring inspiration to her followers and can be a stepping stone to your next level. Why you should follow her: Charlie is all about fun, and while she enjoys running and the healthy lifestyle, she never lets it stop her from smelling the roses. Her blog is all about running, travel and food, the three perfect pieces of a puzzle. 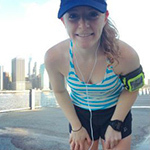 Why you should follow her: Katie is a self-proclaimed pizza enthusiast that loves to share her passion for running. Join her for regular fitness tips, recipes, and running advice that is easy and practical to follow. 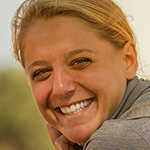 Why you should follow her: Michele brings her military experience to the heart of training as a skilled runner. Anyone that can be deployed three times and become a Captain in the Army is worth listening to! 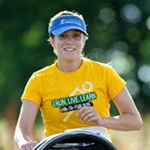 Share her love of coaching, training and even running while pregnant. 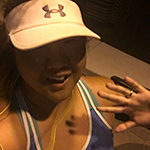 Why you should follow her: Cherie is not your typical runner! She is filled with fun and entertaining joy as she shares her personal weight loss journey. You can also enjoy this NASM Certified Personal Trainer’s posts on wellness, lifting, and food. Epic Post: Pittsburgh Marathon 2015 Recap: Expo & Race!! Why you should follow her: as a runner with Crohn’s Disease, Ali shares the ups and downs of her life. 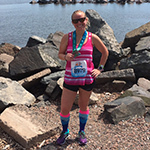 The blog isn’t just about running, but about her personal story. You’ll find humor, inspiration and the struggles that she faces with a chronic illness. You’ll walk away from her story feeling that you can do anything you set your mind too. 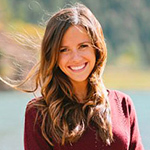 Why you should follow her: in sharing her 30 things to do before 30, Courtney started the blog to share her love of fitness with a dose of faith. She believes that the two must work together in harmony and she is a great source for inspiration. When you are looking for the deeper conversation, Courtney is there to enjoy a cup of coffee with. Why you should follow her: based in Canada, this human rights lawyer believes in sporting the running shoes over high heels. 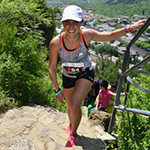 Share her love of the world while enjoying her passion for running. Epic Post: Expert advice: Stretches and Exercises for your Knees! Why you should follow her: Lora runs for the enjoyment and for the community. Not only is she obsessed with cats, she also loves to throw out inspirational quotes. Share with her 2017 goals and find motivation on the journey. Epic Post: My Running Story + Happy Global Running Day! 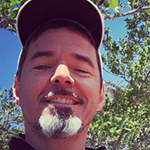 Why you should follow him: who would’ve thought Scott was a technology entrepreneur? 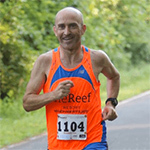 Between his love of trail running and triathlons, he is all outdoors! Join with him as he shares his enthusiasm for food and exercise. 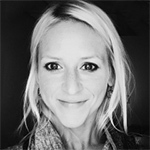 Why you should follow her: Zoe started her blog to keep her husband from going insane with all her running jargon! While she doesn’t consider herself the “typical” runner, she has plenty of guidance and wisdom to share with you. Why you should follow her: Kristen has a deep love for frozen custard and her family. As a middle school physical education teacher and Chicago Marathon runner, she has lots of wisdom and insight to share with her followers. Follow her to keep up with her struggles of being a runner, blogger, mother and full-time teacher. Don’t spend your time training alone. With this great list of resources available to you, there are no more excuses not to run your best race ever. Follow their blogs and check them out on social media to start running your best race yet.